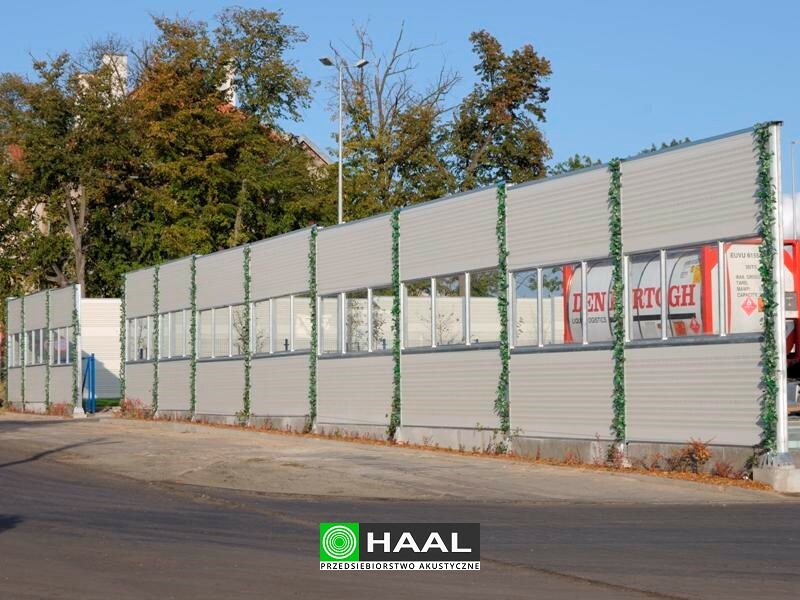 HAAL Acoustic Enterprise specializes in broadly defined protection against industrial and traffic noise. We silence all types of industrial objects that emit excessive levels of noise, either interior or environmental. 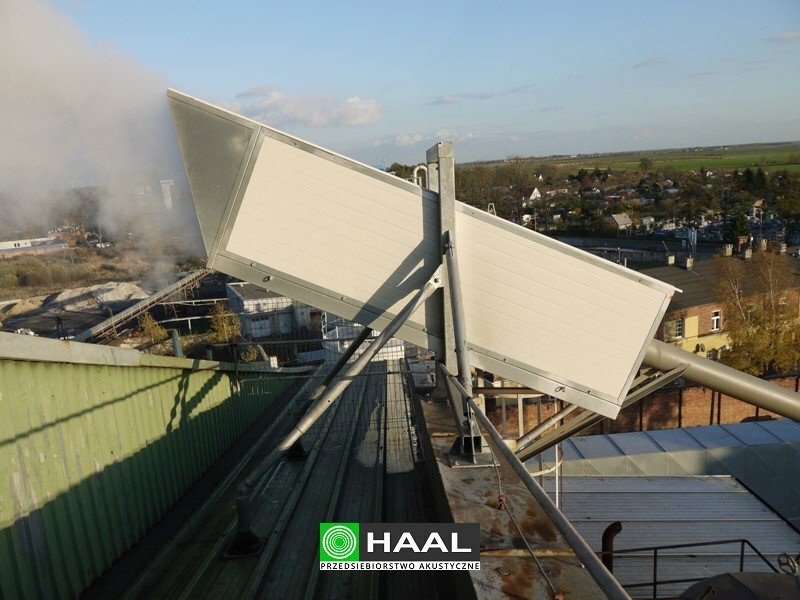 We offer protective measures for places exposed to environmental noise (for example emitted by traffic routes, industrial plants or buildings' ventilation systems) such as residential areas, commercial centres etc. Our company works in compliance with the newest standards in our line of business. We apply original solutions in our projects that ensure reduction of the interior and environmental noise to the limits defined by acoustic standards. 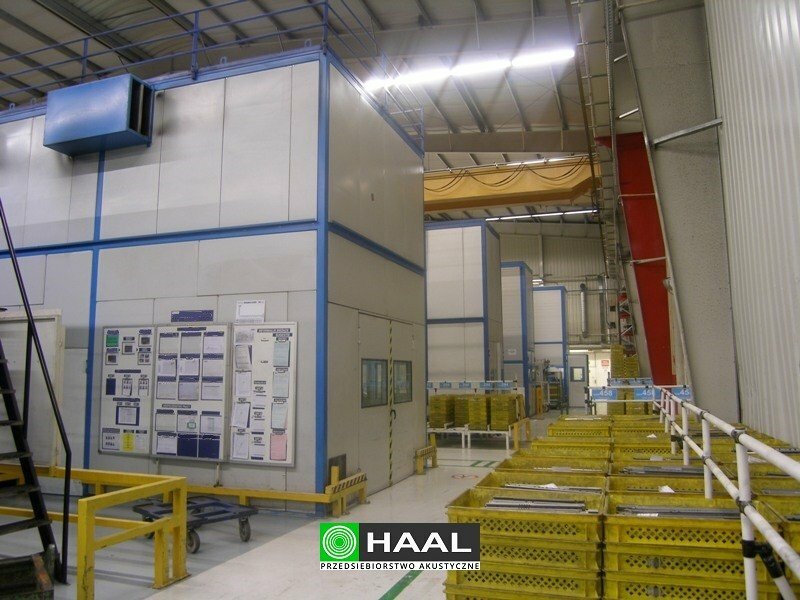 We encourage you to acquaint with our complete offer of noise control solutions. For 27 years of our activity we completed hundreds of noise-reduction projects across and outside our country. We have been trusted by companies from various branches of industry: energy, food, metal, chemical, pharmaceutical, road, furniture, car, metallurgical, cement, sugar, clothes, paper and printing. We take the individual approach to every new job. Every project, before it gets to the realisation phase, is thoroughly discussed with the client. 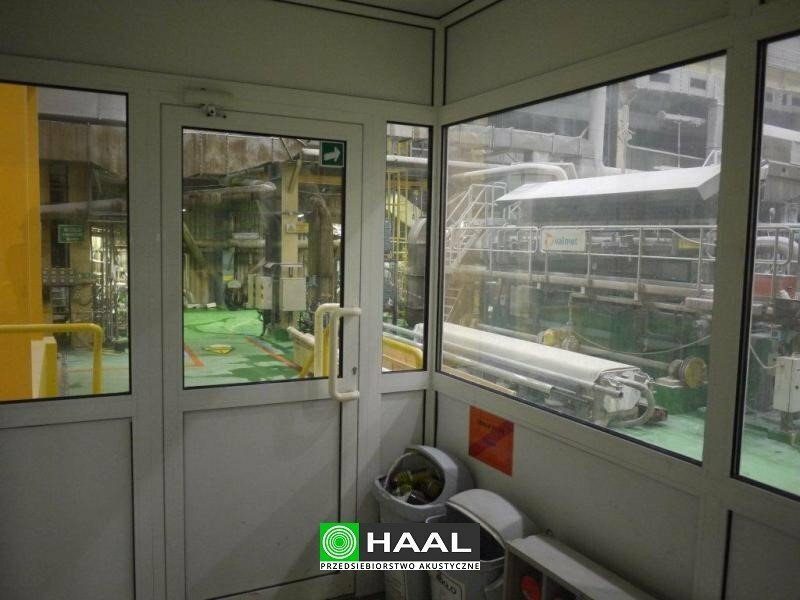 That way, regardless of which silencing solution is chosen, we ensure that it will not only fulfill its basic noise-reduction function, but it will also meet all the other requirements imposed by the investor. We prepare the sophisticated Noise Surveys. Basing on detailed sound spectrum analyses and using the authorial computer programs we precisely estimate the efficiency of the proposed noise-reduction solutions. 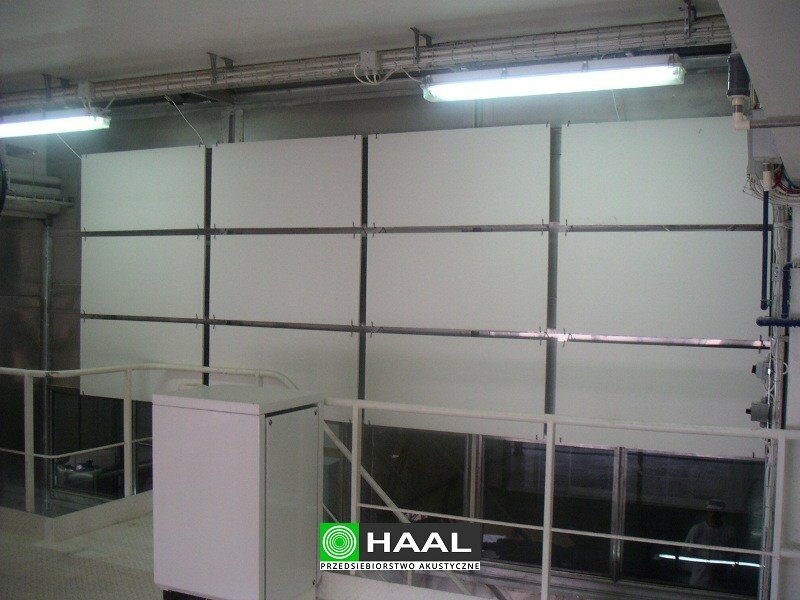 We have our own production line of sound-absorptive and insulating laminar acoustic panels, the parameters of which are selected individually. We offer full range services for the investment process. 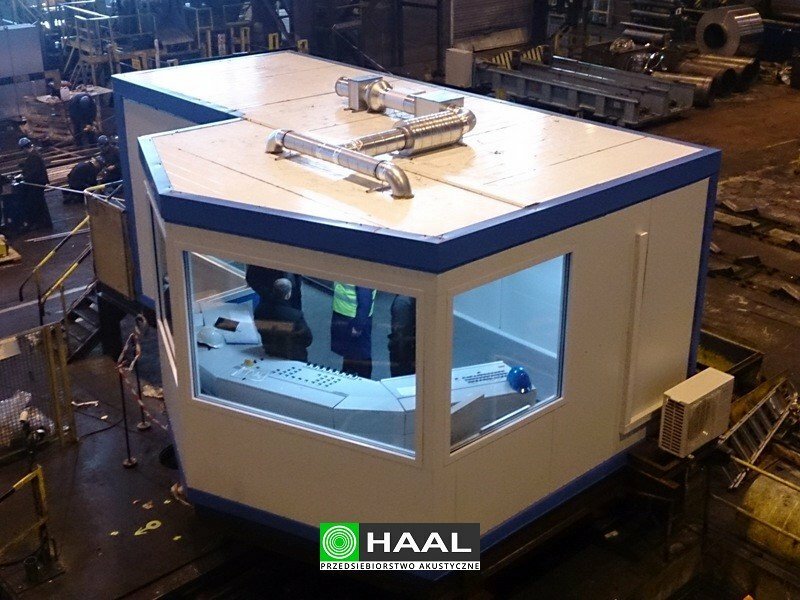 Starting with the initial measurements of the noise level and dimensions of the object, through preparation of the Noise Survey and structural design of the chosen noise-reduction solution, and ending with the manufacture and installation of that solution. © 2017 HAAL Acoustic Enterprise, Aleksander Hajdukiewicz.